US Secretary of State Mike Pompeo will travel to South Korea right after June 12 summit between the US and North Korea to discuss the results of the historic meeting and the next steps in the diplomatic effort to denuclearize the Korean Peninsula. The top US diplomat will visit Seoul on June 13-14 to meet senior officials from South Korea and Japan, after accompanying US President Donald Trump to his summit with North Korean leader Kim Jong-un in Singapore, according the State Department. In Seoul, he is expected to meet with his South Korean counterpart Kang Kyung-wha and Japanese counterpart Taro Kono. Following the trip to South Korea, Pompeo will fly to Beijing to meet with Chinese officials. Earlier in the day, Pompeo told reporters at the White House that Kim Jong-un had personally informed him that North Korea is ready to give up its nuclear arsenal. “He has indicated to me personally that he’s prepared to denuclearize. 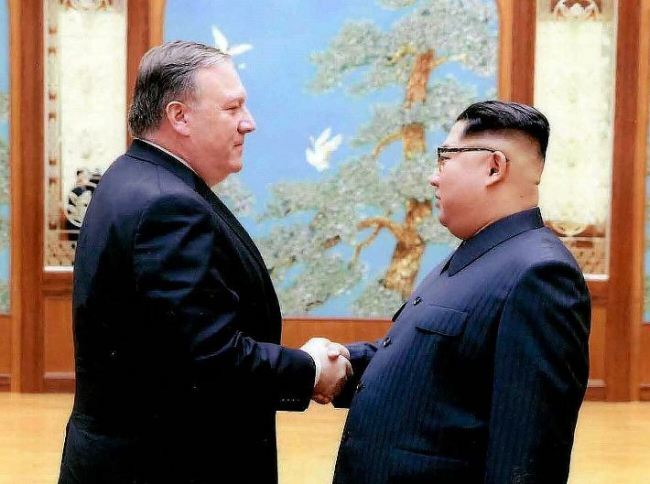 That he understands that the current model doesn’t work,” Pompeo said, adding that Kim personally made the indication during their earlier meetings in Pyongyang. Asked whether the US and North Korea made any progress in narrowing their differences on the definition of denuclearization, he said, “Yes,” without giving any details. Officials from North Korea and the US have held working-level talks in the border village of Panmunjeom to close the gaps on the definition, process and timeline of North Korea’s denuclearization, and what the US could provide in return to guarantee the North Korean regime’s security. Pompeo, however, noted that Trump will not stand for a “bad deal,” and said the administration would be seeking complete, verifiable and irreversible denuclearization.